Like ”The Hinterlands, Mira and Other Poems of Guyana” do not open the window to the “...unspoil’d Guiana, whose great Citie Geryon Sons/ Call El Dorado ...” (Milton, John. “Paradise Lost” 11. 409 – 10). Instead, these poems unveil naked truths and realism with colors, scents, tastes and sounds that evoke tears, laughter and wonderment. The sacred and profane are counterpoints in a chord of homage and horror. These poems unforgivably detail man’s arrogance as he compromises his integrity for paltry things. 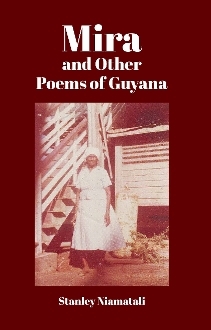 Poems of intensity are countered with lighter poems that give the reader a full spectrum of a slice of Guyana in its inseparable grandeur and ugliness.